The slaughter of dolphins, porpoises and small whales occurs in Taiji, Japan each year. Starting on September 1 and usually continues through March of the next year. 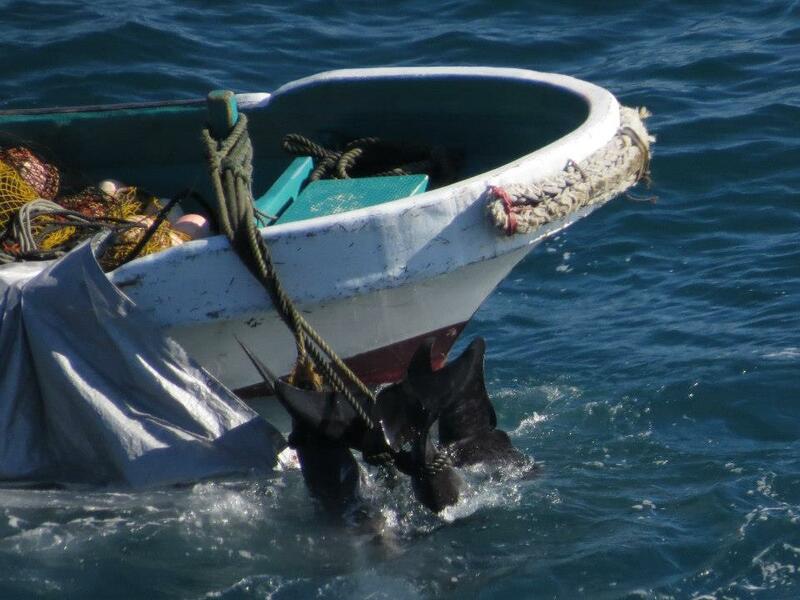 Fisherman herd whole families of small cetaceans into a shallow bay and mercilessly stab and drown them to death. The dolphin drive hunts in Taiji do not just end in the killing of dolphins, Taiji is “ground zero” for the international trade in live dolphins. 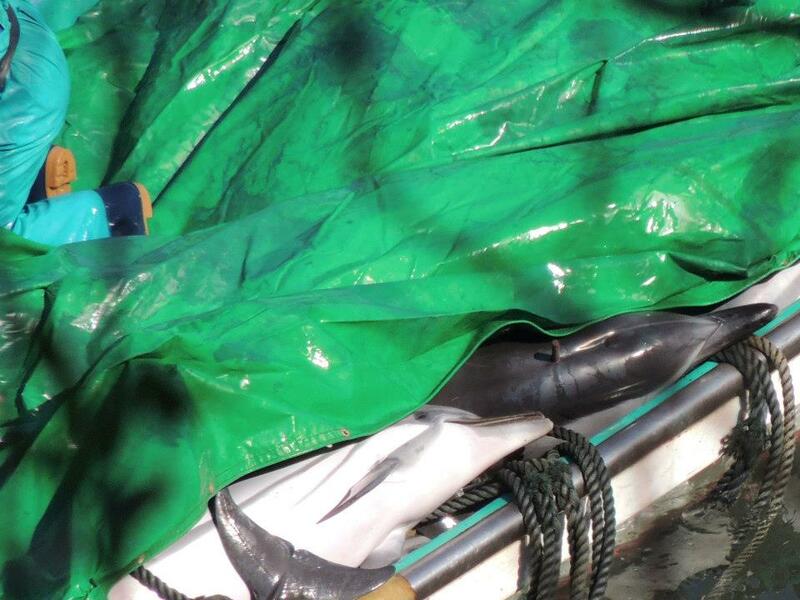 There is a direct link between the captive dolphin entertainment industry and the bloody waters of the Cove in Taiji. Supporting a live dolphin show or participating in a confined swim with dolphin program is supporting the annual dolphin hunt in Taiji and in return directly relates to killing of thousands of dolphins each year for human consumption. It is the dolphin entertainment industry that drive the hunt and the killing of dolphins follows in its wake. 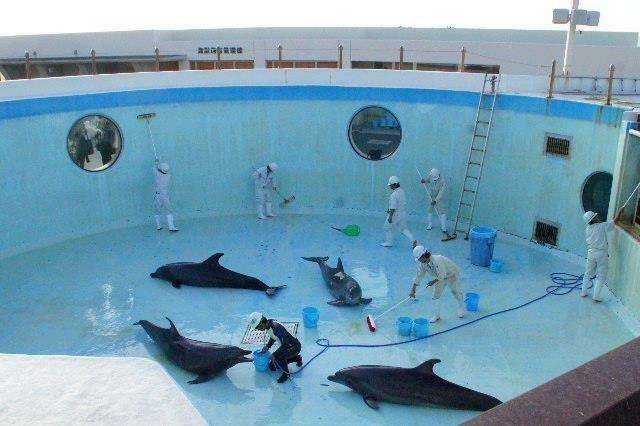 For the dolphins pulled from their families and sold into captivity, life is beyond horrible. Once the dolphins are driven into the Cove area, they are then herded into a southern finger off the Cove. Oftern main mammal trainers from the nearby Dolphin Base and the Taiji Whale Museum wil move among the captured dolphins and select the young dolphins and those deemed “beautiful” (that is without any scarring) for the captive entertainment industry. 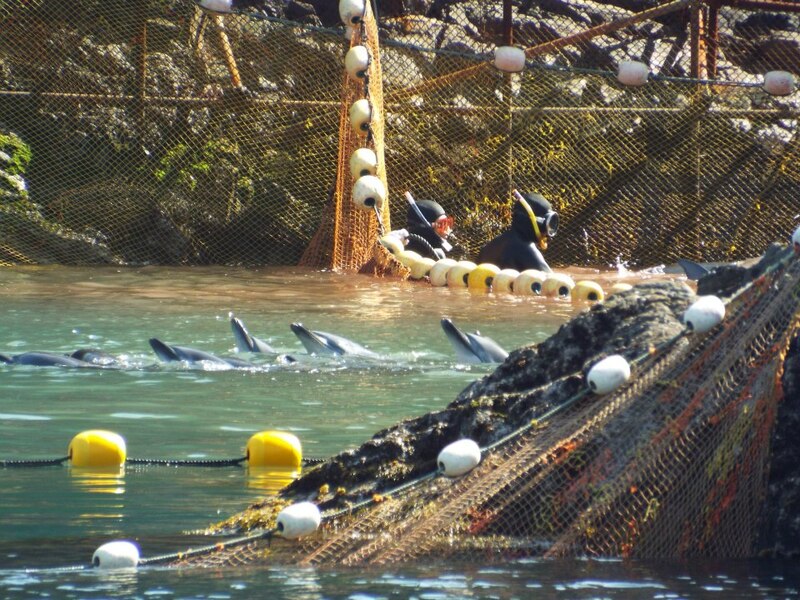 Those not selected are pushed further into the Cove and hunters push a metal rod into the dolphin’s spinal cords. Once the rod is removed, a wooden plud is then hammered into the pole. 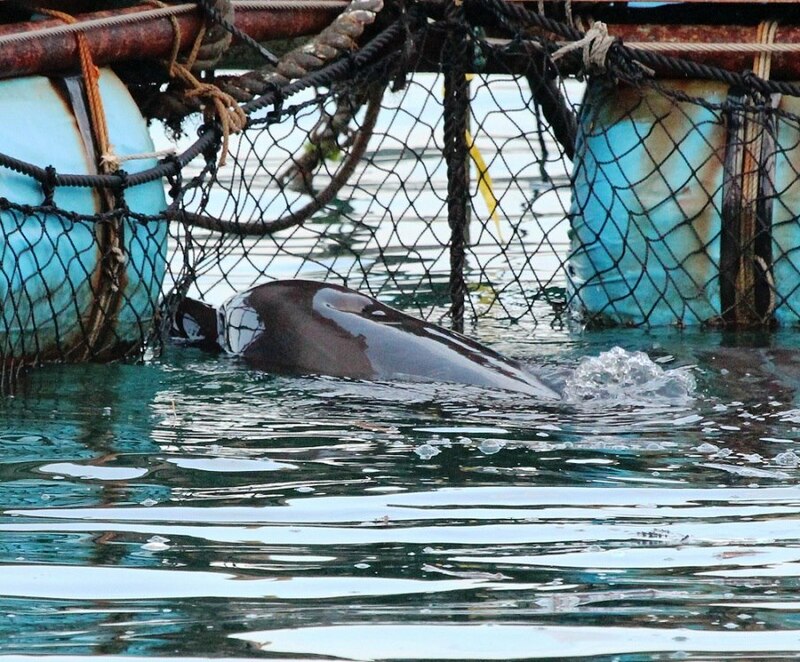 The insertion of the rod causes paralysis, however the dolphins are stil alive and very much aware of what is happening to them and to their family members. A rope is then tied around their tails adn they are hauled out tothe waiting gutting barge by small skiffs. Most of them slowly drown and die during this towing activity. Educate others on the link between the Taiji dolphin slaughter and the captive dolphin entertainment industry. Discourage your family and friends from visiting dolphinariums, such as Sea World, Marineland Canada, etc., or participating in swim with dolphin programs.